Don't know if you guys heard the big news or not, I mean, if you follow me on Facebook or on Twitter, and don't live under a rock, then yes, you heard. 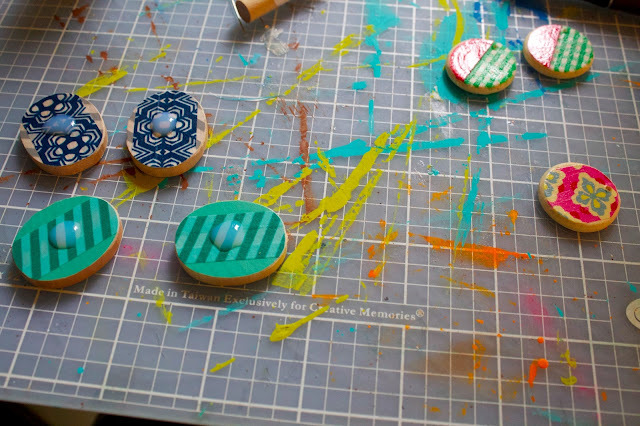 I made it to the top ten for the One Crafty Contest hosted by One Artsy Mama! This is huge for me! I am so excited and can only thank my readers and followers for voting. I know it's all anonymous, so all I can say, is that you all have good taste! 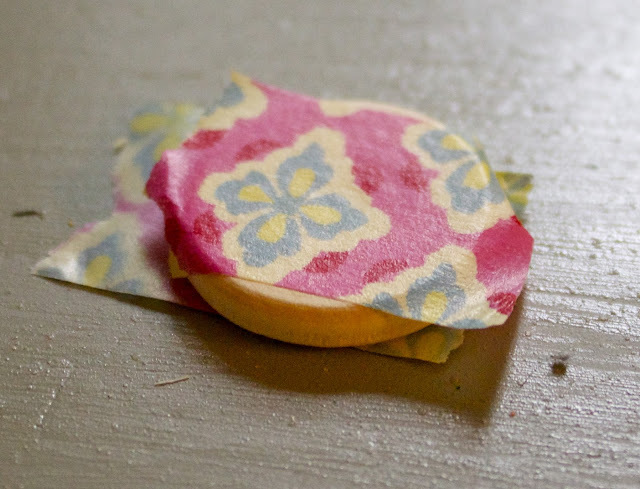 The challenge material was washi tape. Maybe you didn't already know that it's become my latest obsession. When Amy announced this as our supply challenge, I literally jumped out of my chair and did a jig. I knew I had it in the bag. That was of course until I saw what my fellow crafters submitted. Then I only hoped I would make the top ten. 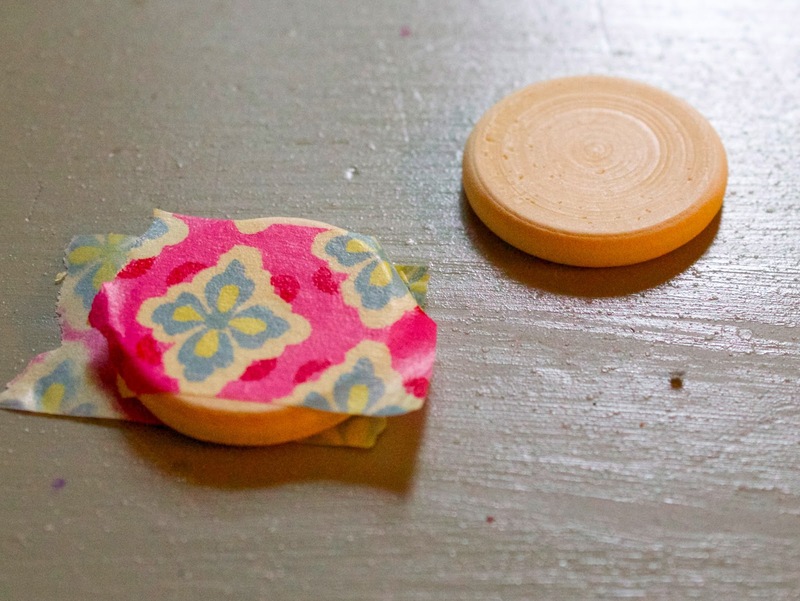 I didn't want to do anything that was super trendy, I mean anyone can wrap plugs with washi tape (not criticizing anyone that has done that, but it's all over Pinterest so I wanted something more). 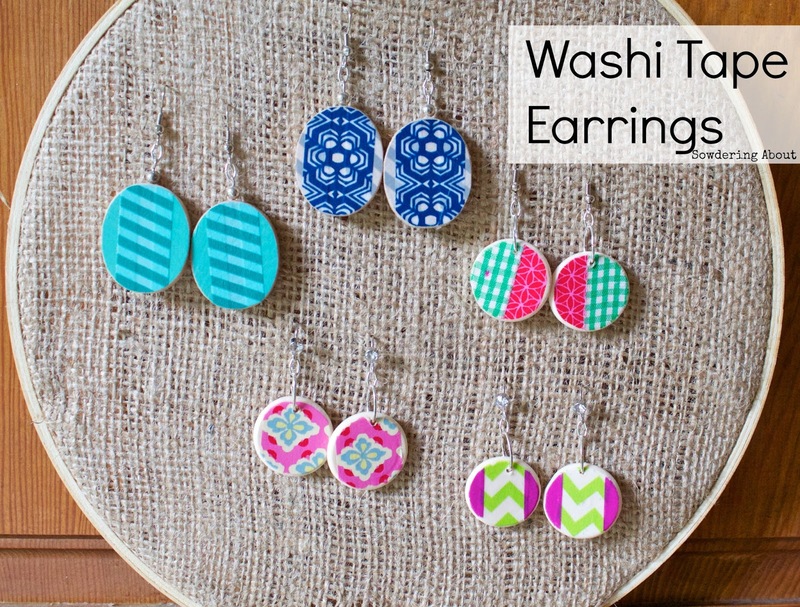 I stayed up super late that night and googled "washi tape earrings" but nothing that I had in mind came up. This made me even happier because I knew that I would have an original idea. That doesn't happen often so I have to jump at the opportunity. 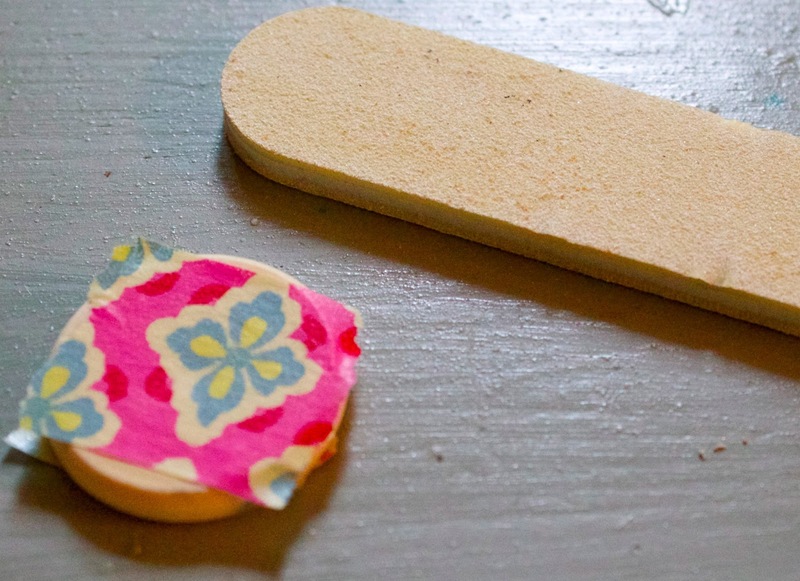 I headed to the craft store with the kids and picked up some little wooden pieces. Then I picked out some tape and started, um, taping. When I had the tape on, I used a nail file to get rid of the excess tape. 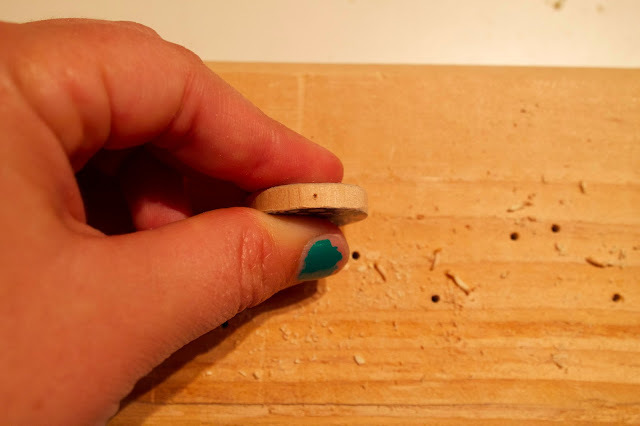 I could have used a razor blade, but the wooden pieces I had had rounded edges, so I wanted to do it right. See how clean the edges look? 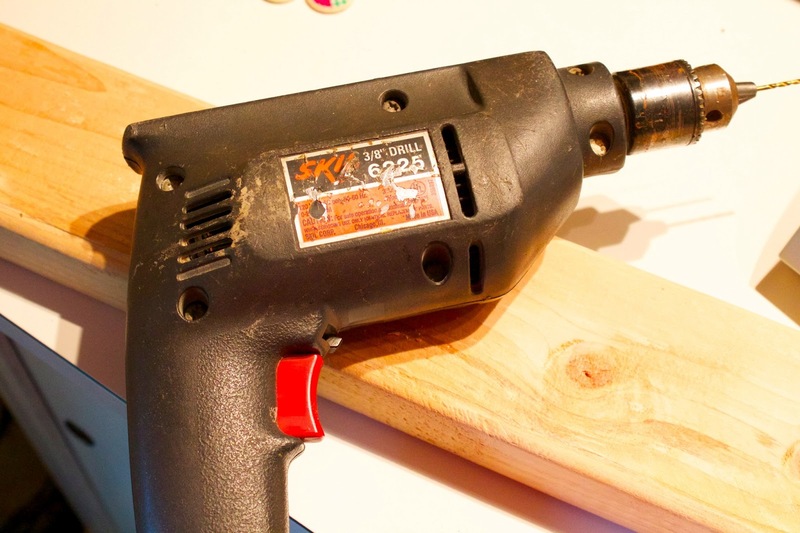 When I was done taping and filing, I hauled out Matt's ginormous drill. 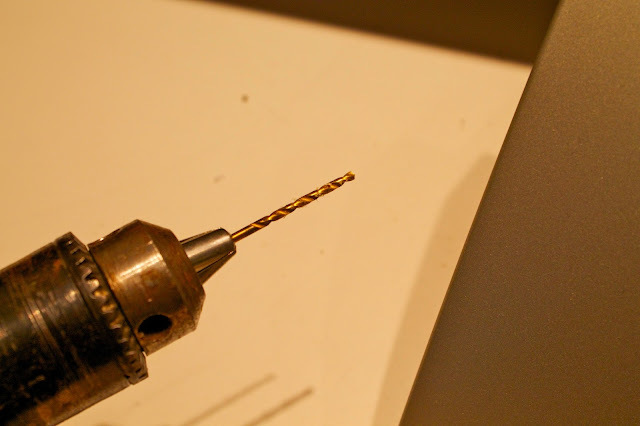 And added the iiiiity bitty drill bit. 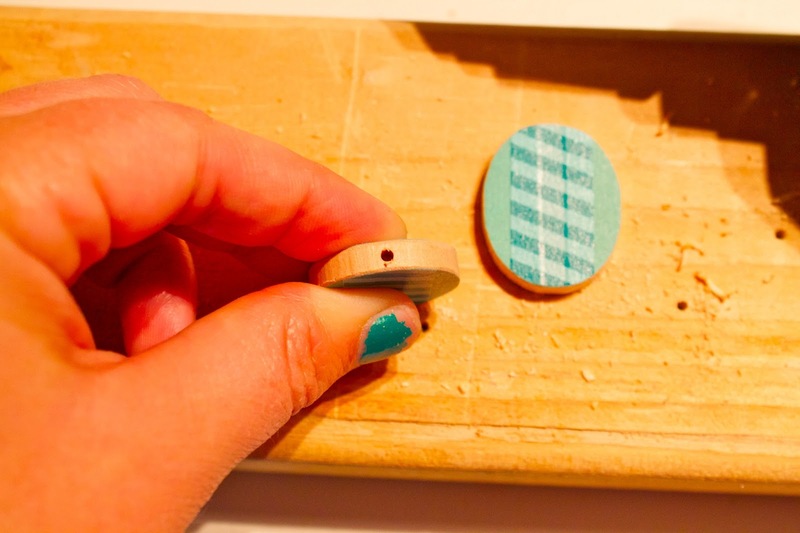 And I drilled holes in them (I drilled holes in the fronts on the round ones and on the tops of the oval ones). Excuse my chipped nail polish. My mom would be so ashamed. When the holes were drilled I put on two layers of poly urethane. Ignore the "I'm crafty" tag. More on that later. For now, just focus on the earrings. When the clear coat was dry, I added all the hardware. The oval ones, I just used a metal rod (you know, those super small bendy ones from the bead/jewelry department at the craft store. I don't know what they are called). 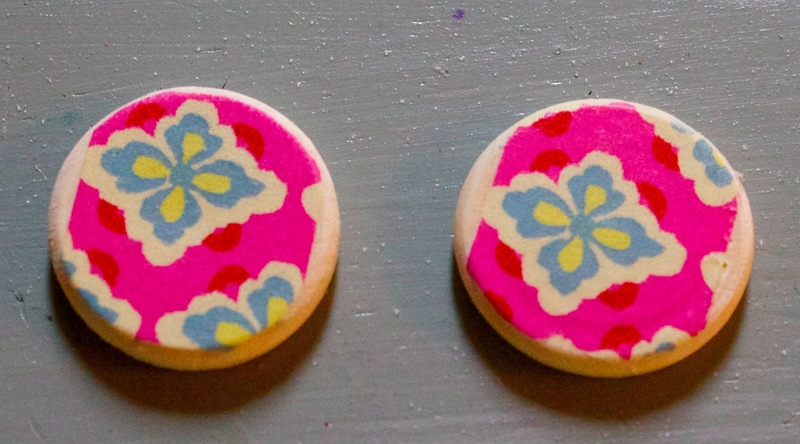 I used a super glue that I bought in the jewelry section and glue them into the holes, and then crafted them into earrings like I normally would with beads. When all was said and done, I emptied my earring holder of all my earrings (because making a new one would have been too easy) and hung up my creations. Soooo pretty. And colorful. And fun. And LIGHT. And different! 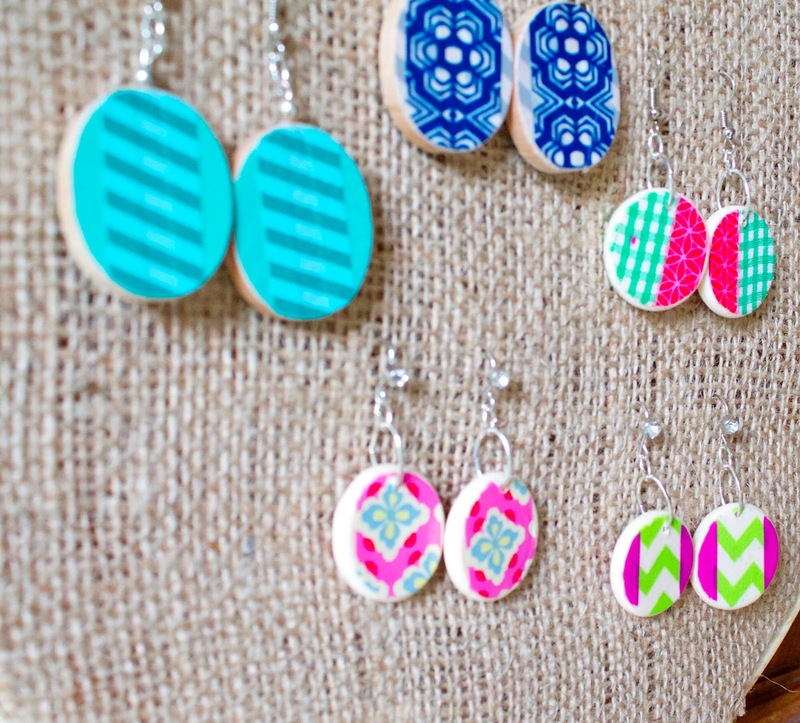 The turquoise ones are my favorite. I need more turquoise in my life. 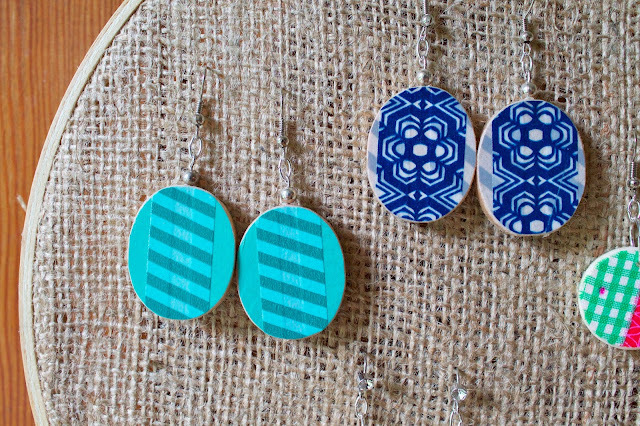 And that is the story on how I won Round 2 of Season 2 of One Crafty Contest. To see more washi tape crafts, see below! That is such a great idea! 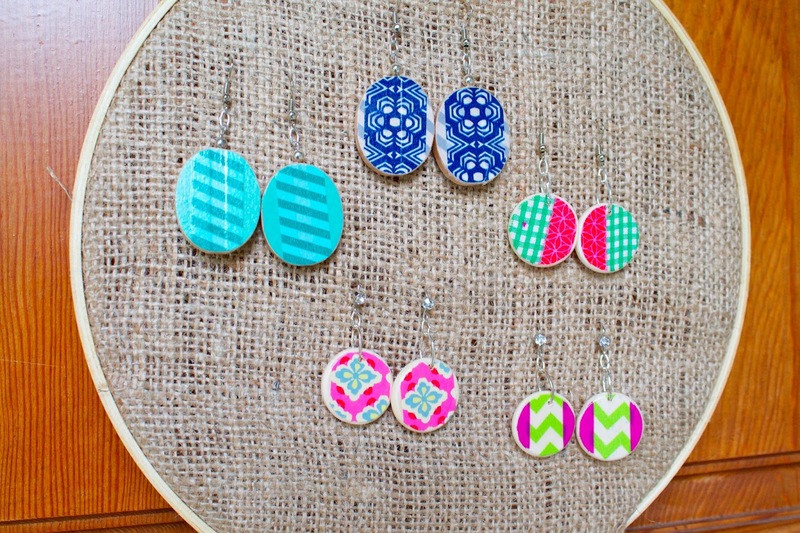 I'm an earring fanatic, but I only let myself spend $3/pair...so these would fit right in my budget! Thanks for sharing them at Monday Funday! I love these! What a great idea!! 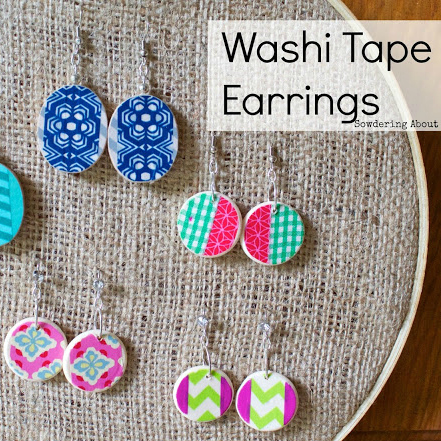 I see the cutest washi tapes but never buy because I have no idea what I would use them for! Stopping in from the DIY Dreamer link up! Dad I am your only daughter so does that mean I am only winning by default? Katie, thanks for stopping by! The washi tape earrings I estimate only come up to maaaaaaybe $1 or a $1.50 a pair in supplies and you know, our labor is "priceless" :) If you make some, please come back and share the link, I would love to see them! So clever!!!!! These look great!! Thanks Melanie for the roundup! 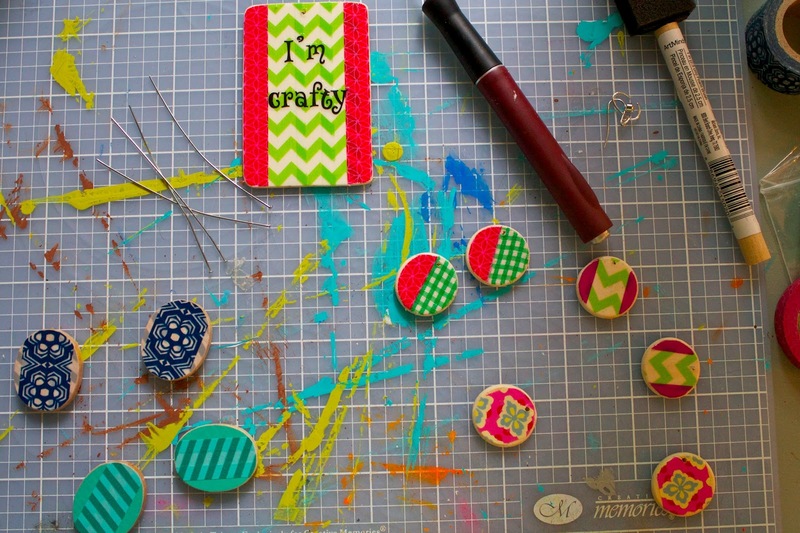 You have been featured at Craftionary today.. :) Thanks for linking up! What a great tutorial..your earrings are so beautiful! Thanks for sharing at the Project Stash last week. 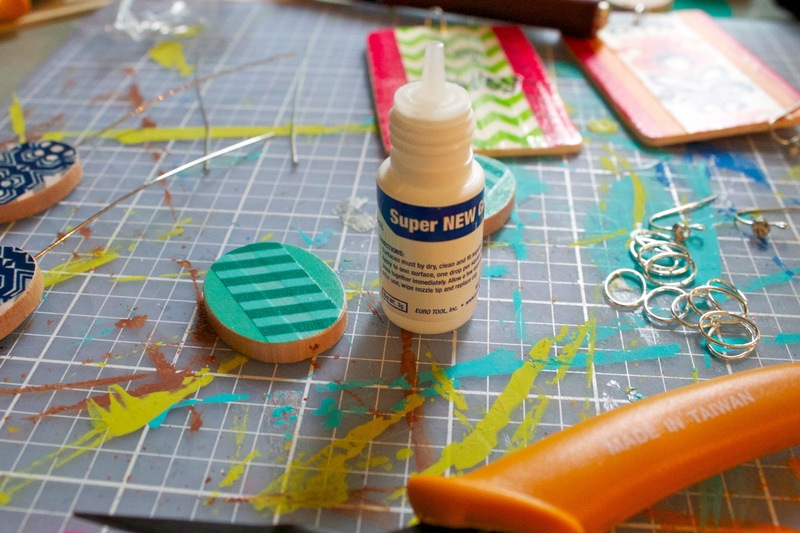 Don't forget to come back tonight and link up your "stash" projects to inspire us again this week. Party opens at 8:00 pm EST. These earring are so pretty. 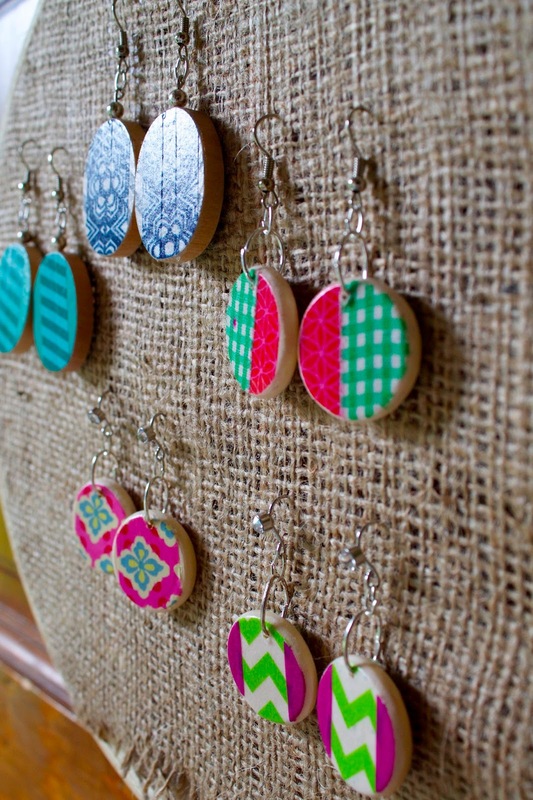 I am definitely going to the craft store soon and making these! So creative! 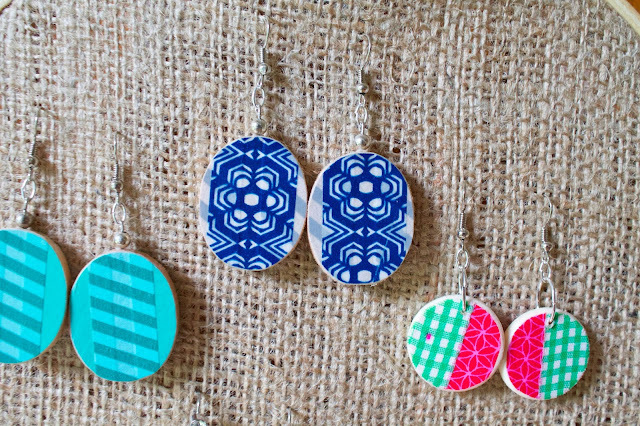 These turned out great--and you have such pretty patterns of tape! These are fabulous! When you put the drops of two layers of poly urethane did you spread it over the tape or did it dry from the blob forming itself?